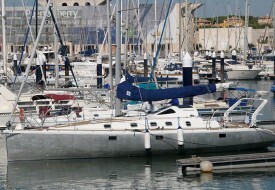 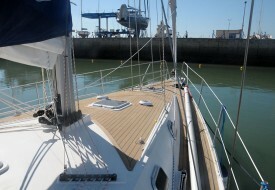 With it´s protected cockpit, evolving chine hull and reduced draft, the GTO46 is born to travel. 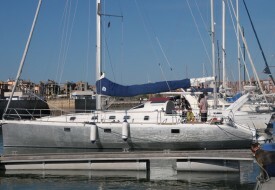 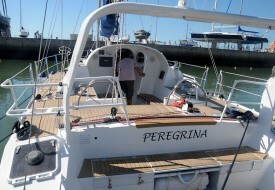 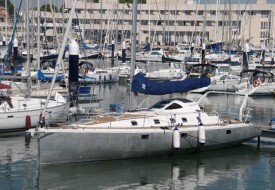 Pierre Rolland designed this 46 foot customizing it to fit the owner´s sailing program. 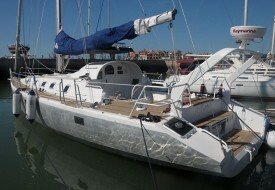 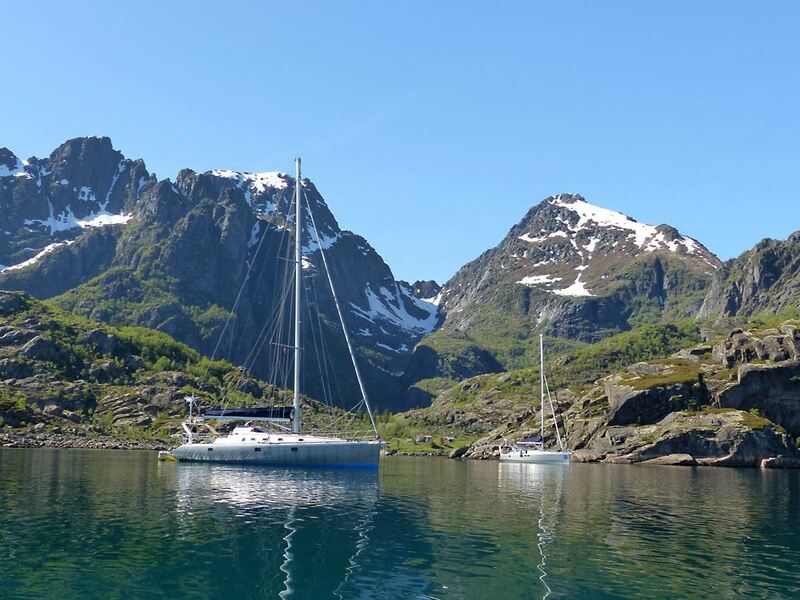 Everything is at hand in the cockpit, the GTO46 adapts to both cold latitudes and tropical sun. 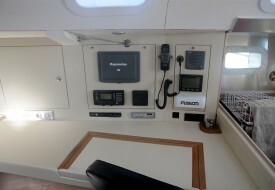 A well protected night watch area and a bathing platform for those diving days. 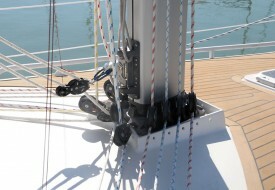 Wind generator, radar and dinghy crane are all integrated to the boat´s aesthetics. 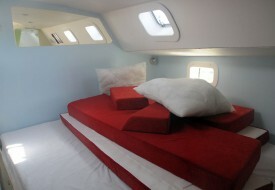 Interiors : priority has been given to space and light. 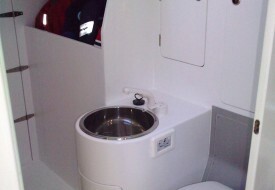 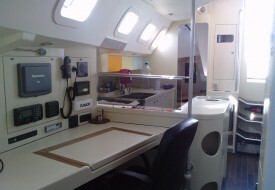 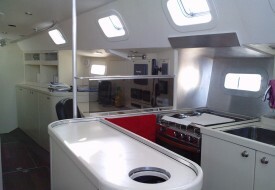 Semi open main cabin, comfortable saloon and highly functional galley. 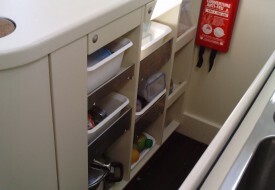 Sandwich panels have been chosen for their reduced weight and high stiffness. 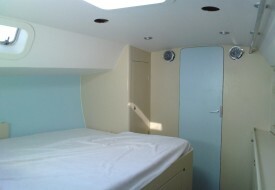 Luminous and well ventilated interiors thanks to the all hatches, from doghouse to the sail locker.